Youth exchanges programmes are measures set up by Erasmus Plus, and managed by organisations to give the possibility for young European people aged between 13 and 30 to get involved in shared projects for a short periods. They allow young people to be either hosted in an organisation (Youth exchanges- Hosting) or to be sent across Europe countries with organisations approved by the European Commission (Youth exchanges- Sending). Various activities are proposed in a youth exchange and can be presented in the form of workshops, exercises, debates, role-plays, outdoor activities and more, outside the school environment. Generally, young people can experience a youth exchange programme for duration between 5 and 21 days. This period does not include the travelling time. At the end of the learning experience, a certificate named YouthPass is returned to participants with the synthesis of all activities developed, and qualifications acquired. 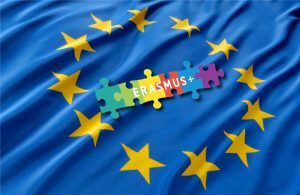 In addition, as a member of Erasmus Plus you can participate to intercultural events and meet young participants coming from all Europe. This is an exciting experience where you could share and make discover your country, costumes, and traditions thanks to the “Erasmus Plus International cultural night” activity. For more details, visit the pages what is a youth exchange and Cultural Night in Erasmus Plus.